An entertaining and enlightening story that will inspire you to build a better life, career, and team with the greatest success strategies of all. Downloadable Posters, Action Plan, Love Serve Care Hearts, Video Training Program and more. I wrote a book called The Carpenter but it's really about being a craftsman/craftswoman. What's the difference? A carpenter builds things. But a craftsman/craftswoman puts their heart and soul, spirit and passion into their work to create a master piece. The truth is it's easier to just show up. It's easier to go through the motions at work, at home, in your job, or sport. It's easier to be mediocre. But nobody remembers average. Going through the motions won't make an impact. Just showing up doesn't lead to greatness. Michelangelo said, "If people knew how hard I worked to get my mastery it wouldn't seem so wonderful at all." It's hard to be great. It's difficult to create a masterpiece. But it's well worth the effort. So if I just work hard I can become a craftsman many ask? Actually it requires more than effort. It's not just about hard work. It's about what drives you to work hard in the first place. I was speaking to a group or professionals one time and I asked, "Who believes they can work harder than they already are?' Everyone raised their hand. So what's the next question? Why aren't you? We discussed it and decided that to work harder you have to care more. When you care more you will do more, create more and become more. Steve said it was a defining moment in his life and is the reason why he designed Apple products with such craftsmanship and care. Even the inside of the iPhone is designed beautifully because Steve was a craftsman. In fact Apple's Chief Designer Jonathan Ive famously said, "We believe that our customers can sense the care we have put into our product and design." When you are a craftsman in a world of carpenters, people will clamor for your product or service and your craftsmanship. And here's the great news. We can all be a craftsman or craftswoman. It doesn't happen right away. There's no such thing as an overnight success. You will have to try new things, fail, learn, improve and grow. You'll face countless challenges and tons of rejection that make you doubt yourself and cause you to want to quit. But if you see yourself as an artist dedicated to your craft with a desire to get better and you show up each day and put your heart and soul into your work you'll get there and the world will be better for it. There's a word I love and it's called Meraki. It sounds like it's a Japanese word but it's actually a Greek word and it means to do something with love, creativity and soul; to leave a piece of yourself in your work; to leave something behind. Being a craftsman/craftswoman is all about Meraki. Put your love and soul into it. Leave a piece of yourself in whatever it is you are building. Create a masterpiece that reflects the essence of your love, energy, effort and craft. Join us at the SHRM (Society for Human Resource Management) 2017 annual conference, June 18 - 21 in New Orleans. Stop by booth #1052 to say hello and learn more about our Driver of Positive Change program. 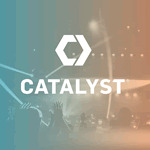 Listen to a recent podcast interview Jon did with Tyler Reagin of the Catalyst Podcast. Jon and Tyler talk about how the power of positive leadership transforms teams.